Where are the best party destinations to bring in 2016 with style? Do you enjoy a more traditional new year? Or do you like to absolutely smash it? You will find great places to party long into the first night of 2016 here. The Alps contain some of the most beautiful landscape and exciting snow sports on Earth. With hundreds of kilometers of runs to ski/board down and plenty of Après-ski fun there’s not many better places to take a winter holiday. Every year one of France’s best ski resorts becomes a hive of celebration. Not only can you enjoy the slopes throughout the day, in the evening the resort is changed into one big free open air festival to celebrate the new year! 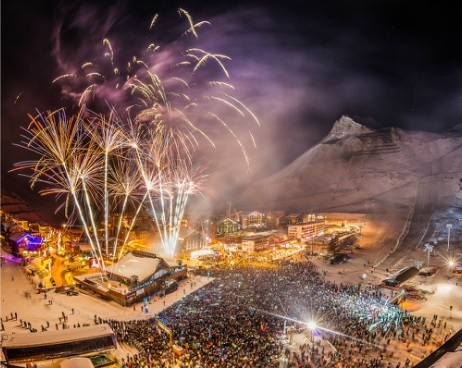 This year Tignes has planned a pop rock party theme with French radio station RTL2 putting on the show with some great music to turn the slopes into the highest dance floor in Europe! A free shuttle bus service will be running to the resort on the Val Claret – Lac – Lavachet route from 10pm for those outside of resort needing to travel in. You can also get a free return service from 2.30am on wards. If you can afford to go, this is a special place to bring in the new year and is always one to remember for years to come. Hotel prices can be less than you think if you book at the right time, usually very early or very last minute! One of the most popular new years eve destinations in Europe has to be Edinburgh for Hogmanay. In fact, it is so big now that 3 days of festivities are devoted to it from the 30th right through to the 1st of January! Check out what’s on this year. Opening with a spectacular torchlight procession through the city, the festival has a great family atmosphere. 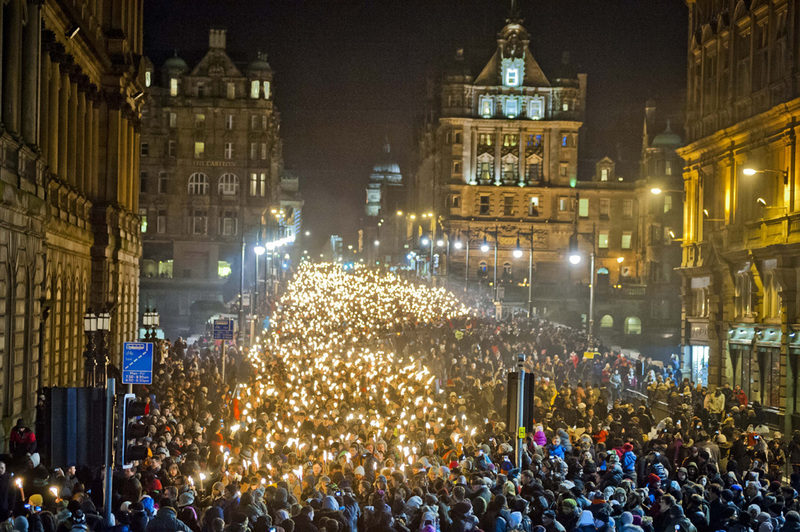 Around 30,000 people joined in last year to float their torches through the city streets towards a fantastic fireworks display. And that is just the festival opener! A wealth of celebrations and fun is to be had here, including the huge street party on the 31st with one of, if the not largest fireworks display in the world to celebrate the new year. Accommodation is never cheap for the new year in Edinburgh, but it certainly is worth the new years party memories. Where will you be spending new years eve 2016?